Your school, faculty, staff, students and their families deserve the very best in traditional stationery. 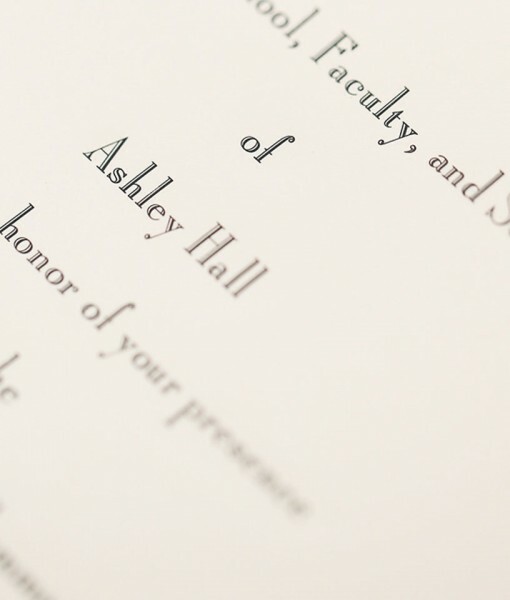 The “Dulles Private School” bespoke stationery projects set the tone for your academic events and communicate all the important details with your institution’s crest or logo, custom designs, gorgeous calligraphy, impeccable white-glove assembly, and mailing or delivery logistics. From bespoke note cards, to printer compatible letter sheets, to business cards, and of course galas invitations or graduation announcements, Dulles Designs assists you with all your stationery needs from start to finish. Emilie is especially grateful to celebrate and memorialize leading academic institutions’ milestones and heritage, year after year.